Annotation: Existing interoperability solutions are suitable only for large enterprises and lack of cheap, easy to integrate and easy to customize solutions. We believe such solution need to be build above existing ICT infrastructure (email, web) available in most of enterprises and organizations. We propose to build interoperability solution on top of email communication. Email communication is used in most of enterprises on daily bases to acomplish interoperability tasks manualy. We believe that such approach for interoperability can have significant impact by not forcing users to change working tool (they can stay with email), by delivering interoperability solution above existing ICT and by providing tool which can be easily customize for concrete application.AIIA can be used also in eGovernment, by solving interoperability problem among different governmental offices. This is especially true in countries as Slovakia, where public bodies have basic ICT infrastructure as email and web but lack of interoperability solutions and thus people need to act as interoperability layer by bringing stamped papers from one office to another. Algoritmus kolektívnej inteligencie: Interdisciplinárne štúdium swarmového správania netopierov. Annotation: Various algorithms of artificial intelligence inspired by real biological mechanisms are successfully applied in military and civil sector. In this proposed project, cooperative research of four scientific institutions having different basis, methodology and the object of study (biology, computer science and technology) focuses on interdisciplinary study of social self-organizational behaviour of tree-dwelling bats with the aim to develop new meta-heuristic method capable of space exploration. The project has a great potential to bring new scientific knowledge about mechanisms of collective intelligence in social structures of biological organisms, which will contribute to the field of theoretical biology, behavioural nad evolutionary ecology. Additionally, it will contribute to the field of artificial intelligence as it focuses on swarming behaviour of individuals/agents with higher nervous activity and well developed cognitive skills. The model organisms (bats) on which this project is focused are using advanced biological mechanism capable of state space exploration and at the same time preventing group disintegration. This specific characteristic has a great potential for development of new biologically inspired algorithms and methods applicable e.g. in movement coordination of unmanned aerial vehicles. Distinguished contribution of the project is R&D of ultra-light sensors applicable not only in biological research. The project originality is in interconnection of different research areas. Therefore it is important to review it interdisciplinary. Annotation: The project aims a research in the area of bio-inspired methods for coordinated control of motion in a group of mobile robots with application in real worls environment (e.g. deminning). The research will increase marketing potencial of robotic industry in Slovakia. The research contributes to the theory of mobile robotics, complex systems, control theory and cognitive systems theory. Annotation: The aim of the presented project is the development of a new type of electron spin polarimeterbased on spin-filtering effects in ferromagnetic thin films. Such a detector may significantlycontribute to instrumental innovations, such as the development of spin resolved electronspectroscopy and microscopy techniques.The work is concentrated on the elaboration on optimised structures exhibiting spin-filtering.These structures will combine two types of magnetic membranes of a few nanometre thicknessbased on:- transition metals (Fe, Co) coated with Au- transition metal oxides (Fe3O4).Specific technological processes will be developed for the fabrication of the membranessupported on an appropriate substrate. The structure properties will be characterized and testedusing spin-polarized electron spectroscopy.The objectives of this project are: joint publications, active participation at conferences in Franceand Slovakia, organizing joint scientific activities, engaging young researchers on both sides,preparation of joint international projects, mutual use of special laboratory equipment andresearch materials collection in the field of nanotechnology (spintronics, spin polarimetry, thinfilm technology, e-beam lithography) for educational and popularization purposes.The present proposal aims renewing already existing, but for the moment being somehowinterrupted, contacts with SAV partner. Annotation: Project goal: Spintronic GMR and TMR nanopillars (lateral size (150nm) for current induced magnetization switching (CIMS) studies will be prepared and analyzed. GMR nanopillars will be prepared by UHV deposition and nanoparticles lift off lithography and electron beam lithography (EBL). Novel TMR nanopillars with embedded magnetic nanoparticles will be prepared by UHV evaporation, LB nanoparticles deposition and EBL. Magnetic configurations of nanopillars will be studied by scanning MOKE microscope. We will study correlation between nanopillar structure, interface roughness (vertical and lateral correlations) and Neel ferromagnetic coupling with magnetic and CIMS behavior with the aim to lower the switching current. Magnetization behaviour in situ by its spin polarized current switching will be analyzed by simultaneous simultaneous the R (dynamic) vs. current and Kerr rotation vs. H experiments. Annotation: The project is focused on the analysis, synthesis and design of electromechanical sensors based on MEMS with wireless transmission of information about the sensed phenomena. Solution of the project will focus on exploring appropriate topology structures especially in relation to the proposal required parameters MEMS sensors. Comprehensive proposal includes a parallel proposal to both the mechanical and electrical parts of the sensor. When mechanical design emphasis will be placed on analysis modeling and linearisation characteristics of MEMS structures. The electric field of the settlement project focuses on analyzing the electromagnetic deja suitable for the transmission of information and supplement sensor electrical elements as to avoid compromising the required mechanical properties. The electric field due consideration to the topology of MEMS mechanical structures with its direct use for applying electrical elements. Annotation: The project is focused on development of high-school network of mini-centres dealing with design of digital circuits, with methodical coordination by the Slovak academy of sciences research team. The pilot mini-centres, established at four selected high-schools, will have licences of professional computer aided design tools for integrated circuits FPGA (field programmable gate array). By help of easy-to-understand hands-on teaching materials, examples for beginners and advanced, self-work tasks with help of trained teachers and research team, the students will learn about digital design fundamentals in current technologies. The knowledge and skill obtained will enhance the interest of young people in microelectronics and in the use of new technologies in research and practice. In the end of the project, the experience gained by the teachers and researchers, as well as the results of the students´ work in the mini-centres will be provided to other high-schools and presented to public. The verified teaching materials and procedures will be processed as methodical manual. Annotation: The project is a significant contribution to increase of safety of road tunnels using computer simulation of firespread based on modelling of complex processes related to fire by CFD technology. 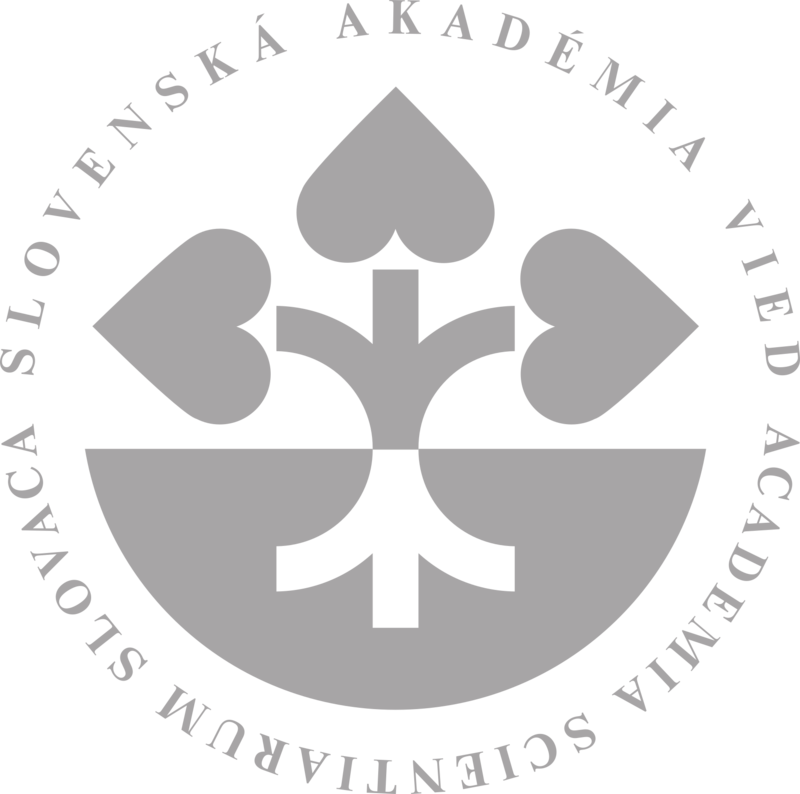 The aim of the project is todevelop a series of computer simulations of fire scenarios suggested by customer organization in two roadtunnels realized on high-performance computational infrastructure at Slovak Academy of Sciences. Research ofproper method of parallelisation of simulation calculation with the aim to achieve substantial speedup ofcalculation without negative effect on the calculation accuracy, research on the impact of ventilation onstratification of smoke in tunnel tube and realization of experiments in two road tunnels in situ are the main partsof the project. Within the project, Tunnel Traffic and Operation Simulator (SRT) – a unique facility at University ofZilina will be extended by visualizations of smoke stratification in virtual tunnel tube in SRT in the case of firedeveloped by computer simulation on the basis of CFD models. The great benefit of this project will be alsoevidence of tunnel incidents and risk analysis according to achieved data. Implementation of the project willinterconnect the knowledge, experience and researches of research teams of participating partners equippedwith unique modern infrastructures obtained by ERDF EU with the aim to create innovative solutions to enhancethe tunnel safety. Multiagentové technológie na modelovanie podnikov a optimalizáciu výkonu. Annotation: Working up, testing, and application of unconventional methods of separation of complex multicomponent polymer systems with emphasis on minor (<1%)components. The starting basis are the methods proposed before by this group namely liquid chromatography under limiting conditions of enthalpic interactions (LC LC) and full retention/elution (FRE). Both LC LC and FRE will be optimized and matually combined; if necessary also with the gel permeation chromatography (size exclusion chromatography) with the aim of comprehensive two-dimensional separation and molecular characterization of sample components in terms of their molar masses, chemical structure and possibly also physical architecture - both average values and distributions. Experimental results will be mathematically processed in order to obtain improved description and generalized elucidation of the retention mechanisms. Among the most important issues of the project are separation and following molecular characterization of parent homopolymers in block- and graft- copolymers, fractionations of statistical copolymers and discrimination of minor components in polymer blends. Presently known procedures only exemptionally allow such kind of analyses. Annotation: Much efforts of the project research team will be made to introduce the new designed MEMS sensoric device in all its complexity and multidisciplinary basis. Therefore, besides the modelling and fabrication methods developed, much attention will be devoted to new methodology of sensing and detection and new non-conventional methods to analyze the basic thermo-mechanical properties of the MEMS device in both stationary dynamic process conditions. Annotation: The project proposal is devoted to design, processing technology and characterization of advanced MEMS pressure sensors based on high temperature stable piezoelectric material system AlGaN/GaN. The design concept of piezoelectric MEMS sensors is original because it integrates two different physical mechanisms of sensing and detction / mechanism based on HEMT (High Electron Mobility Transistor) and SAW (Surface Acoustic Wave). Beside the multifunction sensing properties, the designed MEMS sensors fulfil all criterions for operations of high temperature and highly corrosive environment. Moreover, they are fully compatible with monolithically integrated control electronics based on AlGaN/GaN HEMT device. Annotation: Burning of motor cars in open, partly open or closed spaces is one of the serious problems, which has not been solved satisfactorily yet. The importance and hazard of this problem increases with the number of produced and sold motor cars. Concentration of motor cars in housing estates or near business and shopping centres and stadiums is a great potential risk of chain car fires. The aim of the project is examination of the course and expansion of individual phases of burning and measurement necessary input data for computer simulation system to model the behavior of specific types of car fires. This makes it possible to check the tactics of fire-fighting and to test the optimal layout of effective fire bariers, ventilation systems in buildings, tunnels, garages, as well as location of escape areas in buildings, etc. Annotation: The project is focused on the speech technologies for modern voice-operated telecommunication and information systems with potencional influence in other areas of speech technologies, such as automatic speech transcription, search in the speech databases, automatic translation, data mining, semantic web etc. The goals of the project are strictly focused on the Slovak language. Annotation: The project is aimed on research and development of new types of broadband detectors for terahertz frequency range. This new type of detector is designed in a concept of micro-electro-mechanical system and uses the bolometric sensing principle. The design construction of the detector consists of a microbolometric sensing device coupled to a broadband antenna. Thermal conversion of the incident THz radiation takes place on a thinpolyimide membrane which enables (a) to achieve high thermal conversion efficiency and (b) to design detectors with balanced amplitude characteristics even at high frequency range. The proposed MEMS detector concept will be optimized by a sophisticated process of modeling and simulation in direct mutual iteration withexperimental analysis of functionality and detection capability. The completion of the project will be given by the developed state-of-the-art methodology of characterization, broadband THz detection and simulation of the MEMS detector device applicable in the research and education. Annotation: The project goal is to create a virtual laboratory for the digital circuits design for students of electrical engineering and applied informatics secondary schools. The project follow up results on the project MikroN (LPP-0021-06). The virtual laboratory will provide access to proffesional design software FPGA, new special interactive education tools and design of digital systems textbooks. The project will also provide courses of design software usage with methodical handbooks for teachers and students, new thesis required for the school leaving examination, competitions and expert practice of students in the research institution, and special lessons from selected topics of electrical engineering, electrical technology and computer systems presented by researcher of the II SAS at secondary schools. The virtual laboratory will be distributed at seven workplaces and will use a new electronic portal developed as the result of mutual cooperation.